Without vocalist Ian McCulloch’s swaggering, frontman of the post punk era (apart from Ian Curtis), there wouldn’t have been that of Ian Brown (Stone Roses) or Liam Gallagher (Oasis) later on. 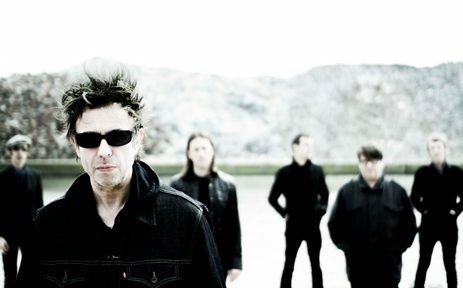 Echo and the Bunnymen, one of the most outstanding bands of the 80s, have unquestionably influenced with their peculiar melancholic, gloomy, dull mood many of the bands that emerged after them, such as Interpol, Oasis, Arcade Fire, The Killers, The Flaming Lips, Travis… or even Radiohead. They were formed in 1978 as Echo only, a duet between McCulloch and guitarist Will Sergeant, and were joined by bassist Les Pattison soon after. Between the years 1988 and 1997, McCulloch released two of his three solo records, and created the band Electrafixio with Sergeant. It seemed the band’s glory days were numbered. However, in 1997 they rejoined again to release the excellent “Evergreen”, recovering their spirits, to finally dispel all doubts with the magnificent “What Are You Going To Do With Your Life?” (1999). During this century they have released four other albums, the latter in 2014 “Meteorites”, the twelfth of their career produced by Youth, bassist of the Killing Joke. Their new album “The Stars, The Ocean & The Moon”, will see the light on October 5th. In it, the band reinterpret and reimagine thirteen of their most transcendental songs (“The Killing Moon”, “Nothing Lasts Forever”, “Rescue”, “The Cutter”, “Bring On Dancing Horses”, “Lips Like Sugar”, “Seven Seas”…), plus two new songs. New perspectives emerge for one of the most majestic British back catalogues of modern times.